The rent at Stewart's Ferry Apartments ranges from $944 for a one bedroom to a $1,334 two bedroom. Apartments in this building are about 22% less expensive than the Nashville-Davidson average. This is a pet-friendly apartment. Stewart's Ferry Apartments has a Walk Score of 16 out of 100. This location is a Car-Dependent neighborhood so almost all errands require a car. 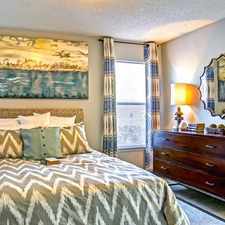 Experience a charming lifestyle at Stewart's Ferry apartment homes in beautiful Nashville, TN. A unique community with award winning landscaped grounds containing mature trees, flowers, fountains and ponds, Stewart's Ferry offers 614 apartment and town homes with a choice of 16 floor plans and an array of amenities. You may want to invite a friend to relax in the hot tub, swim in one of the five pools, both indoor and outdoor, and play a game of tennis, racquetball or join you for a workout in the fitness center. With Percy Priest Lake & Marina just minutes away and unparalleled access to I-40, I-24 and Briley Parkway, convenience takes on a whole new meaning. You will be twenty minutes away from downtown Nashville and that puts you right in the middle of everything. You can easily get to Vanderbilt, The Gulch, Opry Mills and Green Hills, plus if you're a frequent flyer, we're only minutes from the airport. You're just a short drive away from major employers, shopping, restaurants and entertainment. Owned and operated by Fogelman, Stewart's Ferry is dedicated to providing first class service with a dynamic staff that will reach "Beyond Your Expectations." 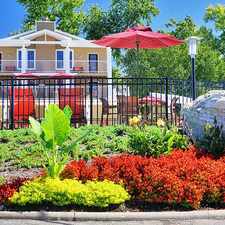 Our pet friendly community has almost 90 acres of grounds next to the Stones River Greenway that will make you want to play and stay, so just relax and we'll handle the rest. Get back to the basics. Live Stewarts Ferry. Explore how far you can travel by car, bus, bike and foot from Stewart's Ferry Apartments. Stewart's Ferry Apartments is in the city of Nashville-Davidson, TN. Nashville-Davidson has an average Walk Score of 28 and has 601,222 residents.